In Beighton church's graveyard yard there was buried one Lucretia Smith on November 27th 1844, age 72, who's headstone declares her to have been a 'queen of the gypsies'. For some reason, her abode is given as Halton in the county of Chester and not Beighton. 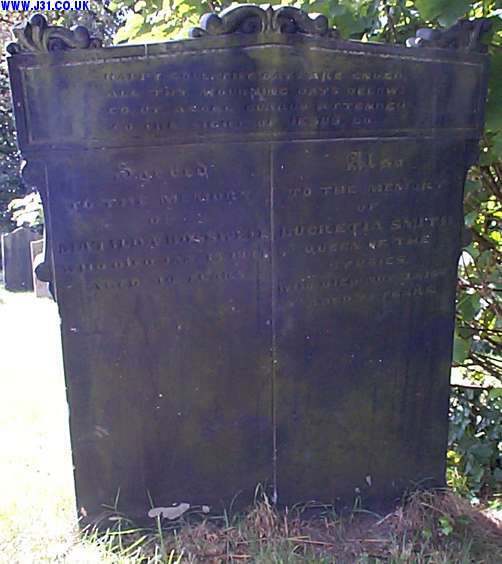 her daughter Matilda Boswell age 40, was buried on the 23rd of January 1844 and her abode is given as Lythe near Whitby (thanks to Carol Cooper for the above info). In 1998 when a pub/restaurant next to the Crystal Peaks shopping mall was being built the pubco used this fact to give their new pub/eatery's name a connection with a bit of local history.